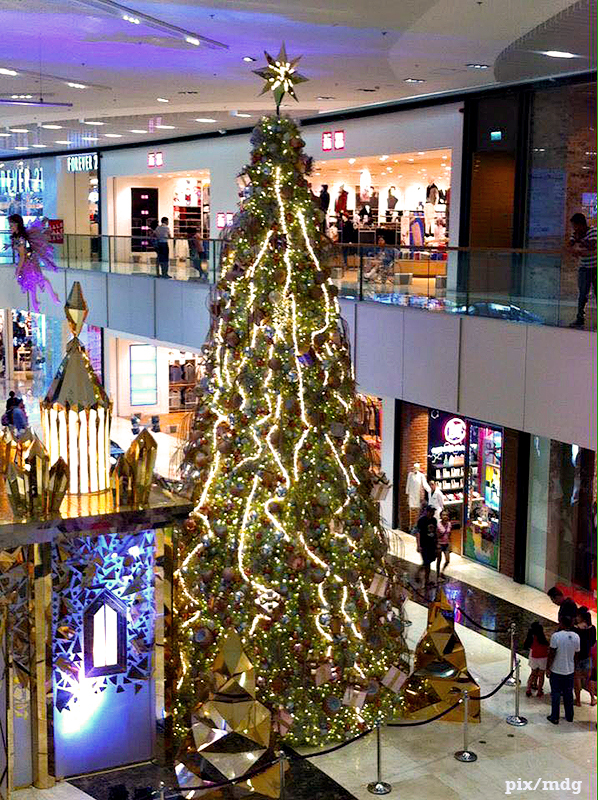 This gold-trimmed giant of a tree was sighted at SM Aura Premier early this week. I’d call this a Fractal Christmas tree because it has no symmetry and seems to just go on and on. Yesterday I spent most of the evening out of the house. These days, this is somewhat akin to an astronomical phenomenon that we earthlings get to observe once in a lifetime only. Okay, I exaggerate; but you get the point. I rarely go out on evenings these days, especially on the weekend. 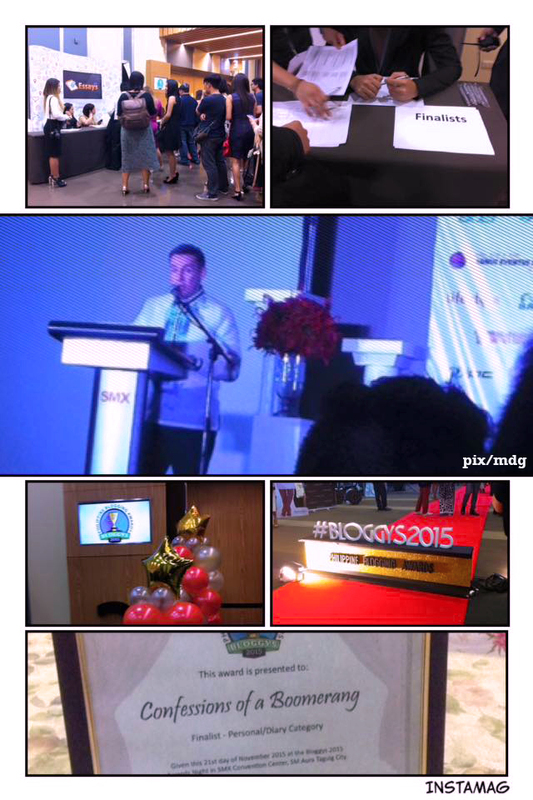 But yesterday, I managed to haul myself to the SMX Convention Center at SM Aura in Bonifacio Global City (said journey can also be compared to space travel) to attend the awards ceremony of BloggysPH (or the Philippine Blogging Awards). It’s because this humble blog of mine made it as finalist in the Personal Blog category. The letter of invitation set the time at 5PM so I made sure I was at the venue an hour before. At 4:15 I went to SMX (which is inside the mall) but found the organizers still setting up. So I decided to do a little window shopping at first. I came back at 10 minutes before 5PM and I saw a couple of long-ish queues to the registration table. It was fairly chaotic because they decided to separate the queue of the finalists from the bloggers and guests after the people have lined up. I had to change queues a couple of times and when I finally signed in, we were told to wait for further instructions before coming in the function room. I found this to be an omen of how things will proceed from that point. When we finally entered the function rooms, the first to greet us were the booths from the sponsors but only the ABS-CBN booth seemed mildly interesting. Apparently there’s a series of games/ tasks that one needed to complete and among those who did, 3 prizes will be given. I quickly left it after I was forced to take a photo wearing a headdress that looked dingy. I think I was too old to play that game. I made my way to a seat, close to the bar. But the drinks they were serving were limited so after one weak cocktail, I didn’t return to the bar. The program started much later than the schedule so I said goodbye to my plan of being home at 9PM. Things improved when they started giving out the awards. Primarily because the emcee, an Australian guy who spoke fluent Tagalog, was very engaging. Going to the ceremony, I had no expectations that I would win. Making it to the list of finalists, was a feat enough for me. I am not sure if many people can relate to the posts of this blog. Still, as the night went on, I found myself gradually wanting to win the award, to claim it as my own. The last statement was especially true for me. When I was blogging in Cambodia, I was regularly corresponding with other Filipino gay bloggers who were living in the States, Thailand, Singapore, Malaysia, and the Philippines. But I never met any of them, except for the one based here. I could feel a strong sense of community in the gathering, at least from those who appeared to know each other. Bloggers even collaborate in projects, this I know. However, I am uncertain if this is for me. When the time for my category came, I was happy and calm. All expectations were gone. I just concentrated on climbing on the stage without tripping a la Jennifer Lawrence, shaking the hands of the judges, and smiling for the camera. The winner of my category didn’t not attend the event, and for a moment I had a flickering desire to go to the mic and deliver the speech in my head. If only I were that bold. Back at home as I prepared to go to bed, I looked at my certificate and felt glad I attended the event. The conduct of the event at the start was somewhat inept, but over-all I think it was a success. If they can improve the secretariat services and start on time, it will be perfect. And finally, THANK YOU to those who nominated me for the award in the first place, to the supporters who promoted this blog in their networks, and to the readers who have stayed with me and the various incarnations of my blog.